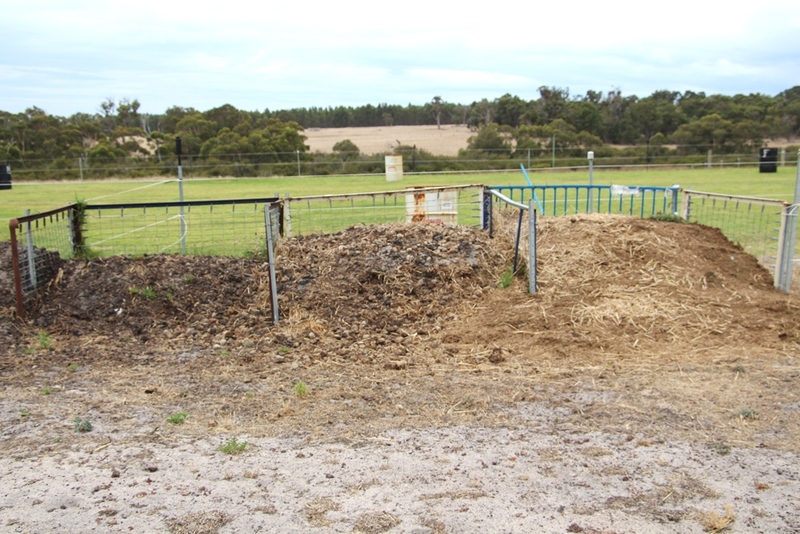 Composting horse poo in bays made from re-purposed metal beds is the ultimate in recycling. The three horses are stabled for 12-14 hours each night, so they can have their feed regulated and so they don’t eat all night. The other upside is that we get a barrow of poo everyday. 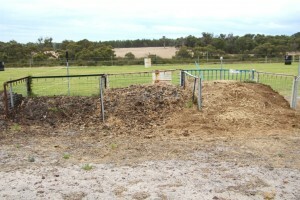 This is composted down sequentially in the 3 bays to provide great compost for the vege beds. This is the horses main contribution to running the property, helping to grow our food. The beds make the perfect frames for the bays and are wide enough for the tractor bucket to get in to turn the compost over from one bay to the next.